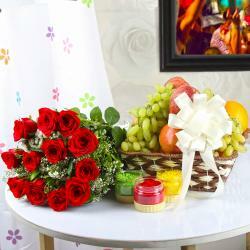 Product Consist : 12 Mix Flowers Glass Vase, 500 Gms Assorted Sweets along with 2 Holi Colors Packets. Enjoy the festival of Holi with lots of fun. May you be as colorful as the festival itself or even more for your receiver. A true and caring relation doesn't have to speak loud, a soft message with memorable gift is just enough to express the heartiest feelings. 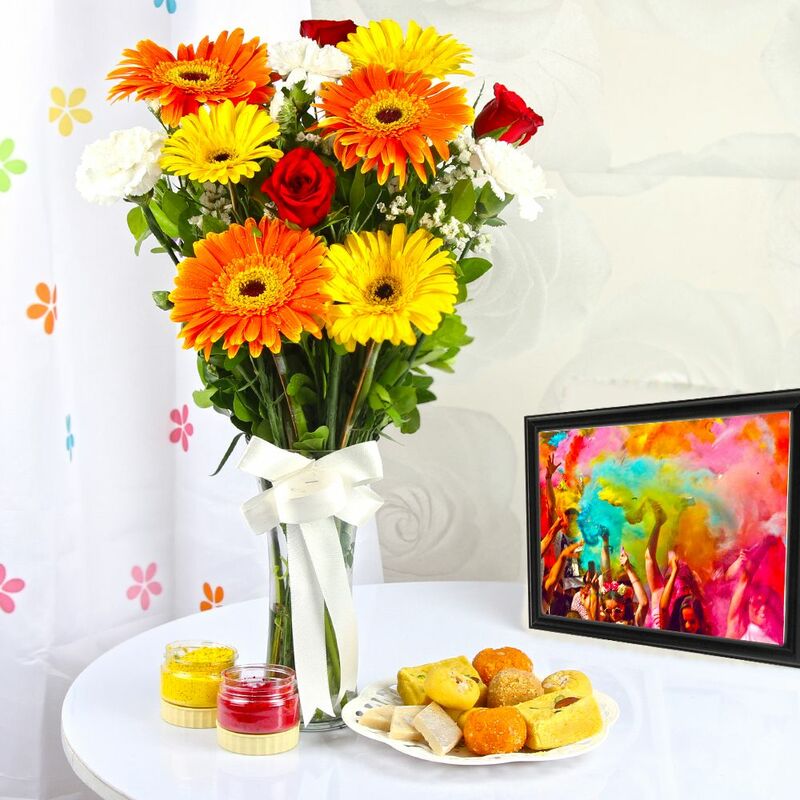 Here this Holi Sweets with Colors and Flowers Vase is specially arranged for Happy holi wishes . Flowers can make any ones festival special that express your sentiments easily also it completes the festival traditional touch as it makes your gift more memorable. For Festival theme is a perfect gift idea. The bouquet is in very reasonable rate but it always looks quite expensive and classy. No what else can reflect the festivals of colors then colorful Flowers for Holi. This occasion represents the arrival of spring and the triumph of good over evil. So let's your receiver to play holi naturally with this gift products. This combo is presented as gift to any one like to your Wife or Husband and many more who is far from you. Fill the special day of your loved ones with lots of sweetness and brightness. Surprise them with this beautiful holi gift hamper. Browse your favorite products, it is very conveniently available for online shopping from anywhere in India with Free Shipping. 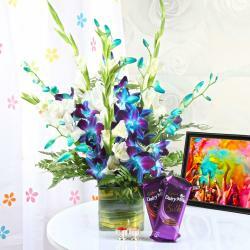 Product Includes : 12 Mix Flowers Glass Vase, 500 Gms Assorted Sweets along with 2 Holi Colors Packets.